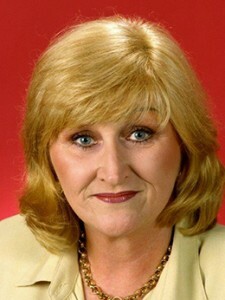 Brenda Gibbs' term as a senator for Queensland began in the wake of a bitter pre-selection contest and the death of her 28-year-old son. In a way, it finished as it began, as the result of a factional quarrel over the federal seat of Petrie. In the interim, the senator was a strong advocate for the vulnerable and disadvantaged. Born on 3 September 1947 at Liverpool, England, Brenda Coombs migrated to Australia in 1953 with her parents, Norman Coombs, a coil winder, and his wife Margaret Anne, née Clough. They settled in Brisbane, where they lived at a housing camp at Moorooka before moving to a housing commission estate at Inala in 1955, and then, in 1960, into their own house at Moorooka. Brenda started school at Windsor State School, then attended Moorooka State School, before two years at Salisbury High School. Brenda married Robert (Bob) Gibbs, a boilermaker, in 1965; she and Bob had two children, and the family moved to Ipswich in the mid-1970s. Bob was a union organiser from the early 1970s, state organiser of the Federated Miscellaneous Workers' Union of Australia in 1976, and Assistant State Secretary of the ALP from 1974. He was elected to the Queensland Legislative Assembly as the member for Wolston in 1977. Brenda took out Australian citizenship in 1984. Brenda Gibbs' pre-parliamentary career had a strong union focus. She worked at Griffith University Union of Students and at the Australian Journalists' Association, and from 1989 to 1995 she was a clerk with the Australasian Meat Industry Employees' Union. She completed an Associate Diploma in Business/Industrial Relations at the Queensland University of Technology in 1996. Having joined the Australian Labor Party in 1969, Gibbs held various positions in the Queensland Branch before her term in the Senate, including membership of the Administrative Committee from 1994 to 1997. She was a delegate to the State Council (1985–96), to the State Conference (1987) and to the National ALP Conference (1991). The simple fact is it was an [Liquor, Hospitality and Miscellaneous Union] position. I'd been connected closely with them for 20-odd years and the party was screaming for a woman. It was the union's decision to put me in. Then the [Construction, Forestry, Mining and Energy Union], the Metalworkers, the Meatworkers all supported me and it snowballed from there. Gibbs' election to the Senate on 2 March 1996 was overshadowed by the death of her son one week after the election and by her separation from her husband twelve weeks later. The couple divorced in 1997. Rumours about Bob Gibbs' role in her preselection continued throughout her Senate career. In her first speech in the Senate on 11 September 1996, Gibbs referred to her 'affinity with the disadvantaged, formed in the housing commission streets of Inala and confirmed through eight years as a union employee ... '. While her particular focus would be on the interests and needs of people with physical and mental disabilities, she made it clear that she considered that other sociological factors could be disabling: 'Physical impairment is only one of the disabilities which many Australians are forced by circumstances to endure. Disadvantage can become a disability unless there is hope. Some people are born with disabilities; other people can become effectively disabled if their disadvantage becomes entrenched'. Gibbs' commitment and passion were evident in her speeches, which were cogent and well-informed, although her own media advisor described her delivery and style as bland. She frequently addressed the issue of poverty in Australia, identifying unemployed people, the aged, the chronically ill, the physically and mentally impaired, rural workers, and poorly-paid unskilled, casual and part-time workers, particularly women, as suffering from callousness and neglect by a 'mean-spirited' government. She expressed concern that Australia was changing from a compassionate nation to 'a nation that does not offer a fair go, a nation that no longer stands up for the less well-to-do'. In Opposition for all of her time in the Senate, she criticised changes to childcare and social security legislation and argued against the introduction of a goods and services tax, describing its potential effect particularly on the disabled and on charitable and non-profit organisations. These interests carried over into her committee work, including as a member of the Senate Community Affairs References Committee during inquiries into the GST (1999), public hospital funding (2000), and changes to the welfare system (1999). She was a member of that committee during its inquiry into child migration, which resulted in the landmark report, Lost Innocents: Righting the Record (2001). An informed supporter of industrial unionism, Gibbs criticised the Howard Government's 1996 workplace relations legislation proposing the introduction of workplace agreements as an attack on hard-won industrial justice, likely to result in loss of quality in the bargaining process between employee and employer, and 'reduced wages and conditions for the most vulnerable Australian workers'. She was also vocal in her criticism of unfair dismissal legislation in 1998. Senator Gibbs was a strong opponent of the government's asylum-seeker policy—notably in relation to mandatory detention. She deplored changes to the health care system, which she saw as the erosion of Medicare: 'The Howard government's attack on every major component of Medicare is irrefutable proof that the conservatives despise Australia's universal health system'. Having lost her son to a heroin overdose, Senator Gibbs lent her voice to calls for drug law reform. Believing that emphasis should be placed on treatment for drug addicts rather than the punitive approach advocated by the Howard Government in its 'Tough on Drugs' initiative, she pleaded for the introduction of safe injecting rooms for heroin users, for trials of prescribed heroin, government subsidies for the cost of detoxification drugs, and for increased funding for treatment and support facilities. At the Queensland ALP conference in June 2000 Brenda Gibbs was demoted to the unwinnable third position on the Senate ticket for the forthcoming federal election. The Labor Unity faction, which had secured her preselection in 1996, abandoned her in preference for an agreement to support Claire Moore of the Queensland Left faction, in exchange for that faction's support for their candidate for preselection for the House of Representatives seat of Petrie. At the same conference, Gibbs was elected Vice-President of the Queensland ALP, a position she held until 2003. At the half-Senate election of 10 November 2001, Gibbs was eliminated on the eighth count. For me, the last six years have been a very memorable and wonderful experience. It is a time of my life that will never be forgotten. No matter what happens from now on, the memories, the experiences and the friendships are things that nobody can ever take away from me. During valedictory speeches, Senator John Faulkner (ALP, NSW) described her as 'a great party stalwart and a great trade union stalwart'; other senators recognised her efforts for the disadvantaged, Senator Ron Boswell (NPA, Qld) saying 'you come from an area that is mainly battlers, and you stood in this parliament and spoke for them', while Senator Michael Forshaw (ALP, NSW) referred to her as a person 'with a tremendous heart'. After leaving the Senate Gibbs remained active in the Queensland Labor Party at branch level. Aside from a reported interest in standing as a Labor candidate in the 2004 Ipswich mayoral election, she stayed out of public life, working for the Logan Council, and as a real estate agent. She became a life member of the ALP in 2006. 'Brenda Gibbs' in John E. S. McCulloch (ed.) The Legislators: Queensland Women in State and Federal Parliaments, Central Queensland University Press, Rockhampton, Qld, 2005, pp. 179–80; CPD, 11 Sept. 1996, pp. 3318–21. CT, 9 April 1995, p. 3; Courier-Mail (Brisb. ), 9 Oct. 1999, pp. 1, 4, 14 Sept. 1996, p. 2; 'Political Chronicle', Australian Journal of Politics and History, Vol. 41, Issue 3, Dec. 1995, p. 463; Transcript, ABC Radio, 'AM', 11 Oct. 1999. CPD, 11 Sept. 1996, pp. 3318–21; Robert Hoge, Ugly: My Memoir, Hachette, Syd., 2013, p. 272; CPD, 5 Dec. 1996, pp. 6854–5, 2 March 1998, p. 811, 28 May 1997, pp. 3855–7, 15 May 2002, pp. 1536–8, 26 Nov. 1997, pp. 9533–5, 30 March 1999, pp. 3483–4, 20 April 1999, pp. 3893–6, 27 April 1999, pp. 4376–9, 12 April 2000, pp. 13961–4, 22 June 2000, p. 15493. CPD, 11 Oct. 1996, pp. 4051–4, 30 Oct. 1996, pp. 4806–8, 22 Oct. 1997, pp. 7812–3, 7880–2, 25 Nov. 1999, pp. 10770–3, 14 Aug. 2000, pp. 16187–90, 16249, 15 May 2002, pp. 1536–8, 29 June 1998, pp. 4380–2, 26 March 1998, pp. 1441–4. Courier-Mail (Brisb. ), 22 July 1997, p. 3, 13 May 1999, p. 5; Media Release, Senator Brenda Gibbs, 25 Nov. 1998; CPD, 25 Nov. 1998, pp. 671–4, 9 Dec. 1998, pp. 1526–8, 9 March 1999, pp. 2512–14, 12 May 1999, pp. 4842–5, 28 Sept. 1999, pp. 9078–9. Courier-Mail (Brisb. ), 9 June 2000, p. 5; Sunday Mail (Brisb. ), 11 June 2000, p. 9; Transcript, ABC Radio, 'AM', 13 June 2000; CPD, 27 June 2002, pp. 2868–922. This biography was first published in The Biographical Dictionary of the Australian Senate, Vol. 4, 1983-2002, Department of the Senate, Canberra, 2017, pp. 243-245.